We go through life making mistakes. Nobody is perfect, and no one becomes successful overnight. Colin Powell once said, “There are no secrets to success. It is the result of preparation, hard work, and learning from failure.” In Dallas real estate property management, landlords make errors all the time. 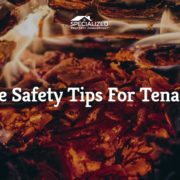 At Specialized Property Management, we want to help you avoid the common mistakes that a lot of first time rental property owners make. Leasing Delays and Extended Vacancies: Don’t let your property sit vacant for a long time. Get it rent ready, set the right price, and market your property efficiently to avoid leasing delays and long periods of vacancy. Poor Rental Property Selection: Effective Dallas residential property management means choosing a rental unit wisely. Look for a rental in an appreciating neighborhood with a standard floor plan and a home that can support a familial lifestyle. 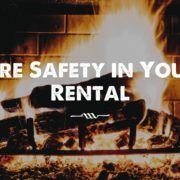 Showing the Home Before it’s Ready: Don’t put that “for lease” sign in the yard until you’ve rekeyed all the locks, had the home professionally cleaned, and checked all items off of our handy, “Rent-Ready” checklist. Careless Tenant Qualification: Have a proper tenant screening process in place so all tenants have to be vetted thoroughly. Perform background and credit checks, and verify past rental history. Unpleasant Tenant Interactions: Dallas real estate property management is all about people and relationships. Maintain a professional business relationship with your tenant by detaching yourself emotionally from the property. 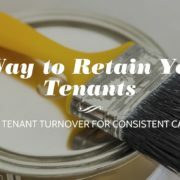 Failing to Maintain a Rental Property: Communicating with your tenants quickly and cheerfully keeps you in business longer. Answer maintenance calls or emails promptly to keep your tenants happy and your property value high. Inadequate rent collection: Never accept cash as a form of rental payment. Process all rental income electronically to make your life easier and keep digital records of all transactions. Expensive Regulatory Violations: Avoid accruing fines and code violations for illegal Dallas residential property management by keeping up to date on all the required rules and regulations. Neglecting Property Inspections: Conduct quarterly property inspections to keep your property in good shape and catch any maintenance issues before they become an expensive problem. Inefficient or Overlooked Maintenance: Set aside money every month for future maintenance issues. They will happen, so be prepared! Your Specialized team wants you to have realistic expectations going into the Dallas real estate property management business. We all make mistakes, but if you hire us as your professional property management team we can help you avoid the most common errors and save you time and money at the same time. Give us a call today!